Everyone has at least tried acquiring or purchasing a ticket once in their lives. Tickets are an essential document in transportation and travelling. They are a tool in boarding airplanes, buses, attending events, granted access into places, and many more. 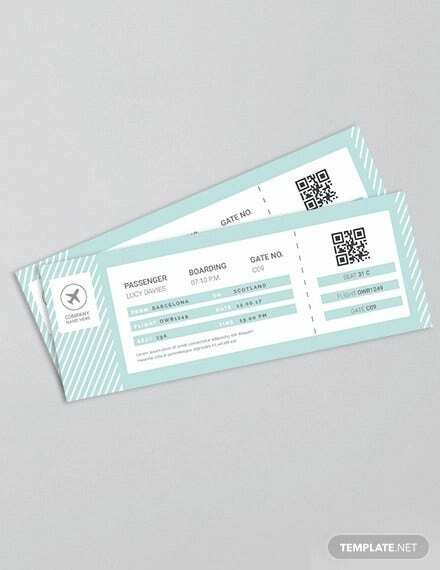 Tickets have been become a staple item in today’s society that they can now be used in designs such as logos or invitations. If you are looking to create a ticket for event, document, or design purposes, then we have got it all for you. Take a look through our list of samples and choose which template best suits what you are looking for. For more ticket templates, you may also browse through our website here on Template.net. Tickets can be used for different purposes. Each ticket can allow a person authorization to a place, event, or transportation. There are many kinds of tickets yet each are just as vital in organizing and hosting a particular event or business. 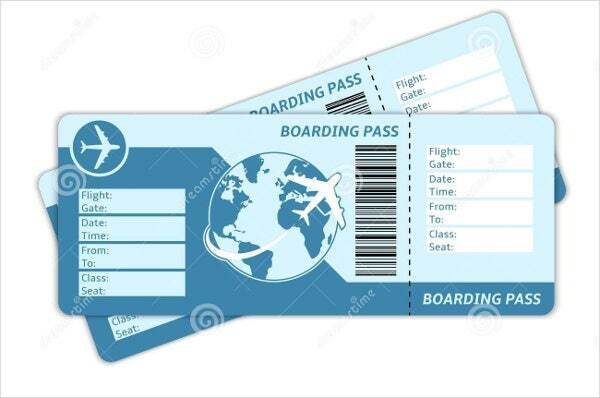 Most tickets are used for entry purposes such as in planes or concerts. This helps maintain crowd control by using tickets as a count if ever the number of heads exceed the required limit. Without tickets, it is hard to keep track of people who are granted access. This also documents them as eligible customers or holders for security purposes. The samples that we provide below are mainly for travel purposes. The tickets given here have different kinds of designs. You can easily download them and customize them with ease. For more samples, you can also check out our ticket invitation templates that we offer free and available to download. 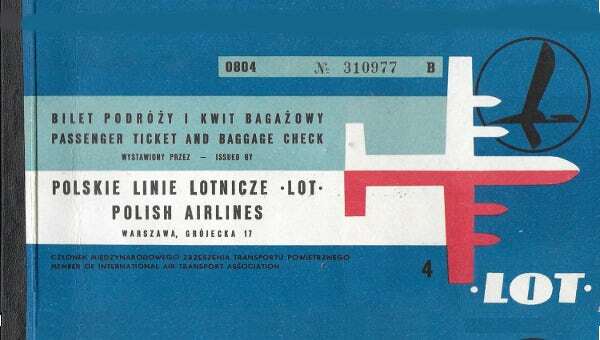 Vintage Travel Ticket Template. If you are quite fond of the vintage type of design, this is recommended for you! 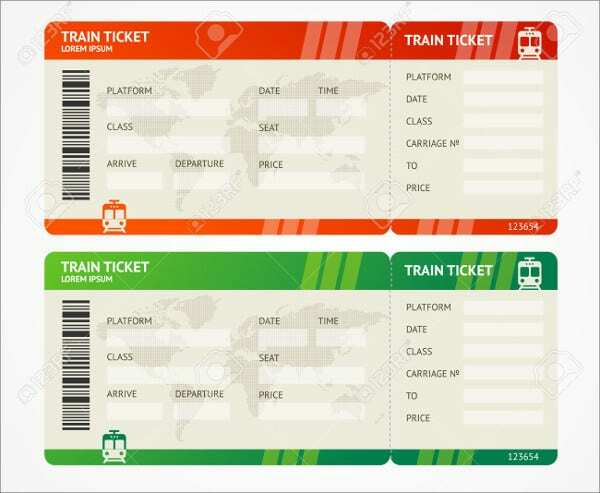 Give your travel ticket a timeless feel as if you are in the past. 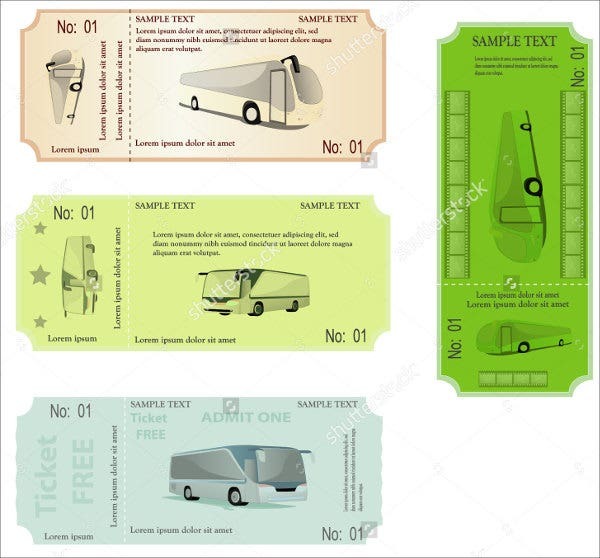 Bus Travel Ticket Template. Most public transportation need a ticket, and one of the most commonly used vehicle is the bus. Before anything else, you must present a ticket to authorize you to get on board. 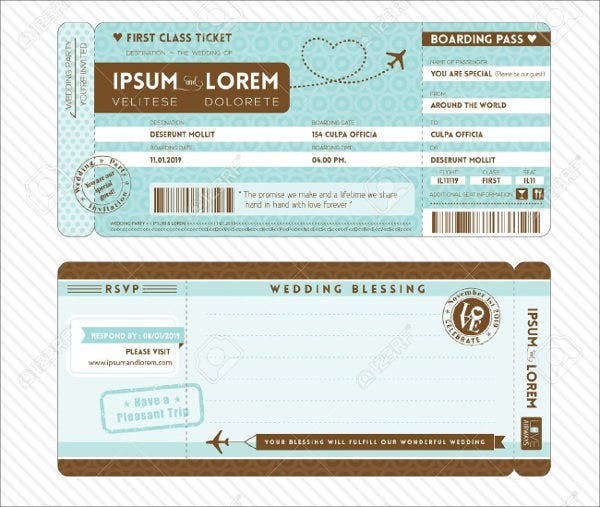 Travel Ticket Invitation Template. For events with a travel theme, this is the invitation for you! 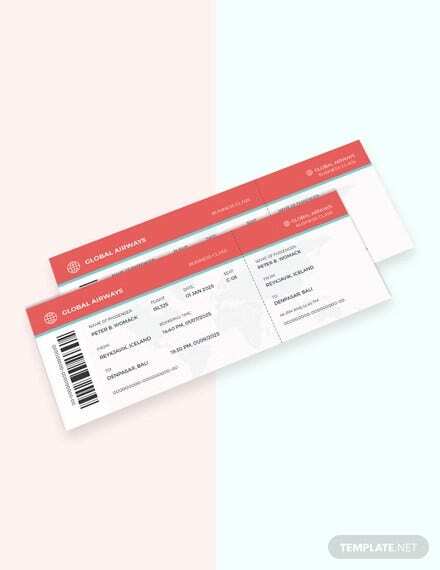 Travel Ticket Template in Word. This template is great for easy editing. Adding words and numbers if necessary. 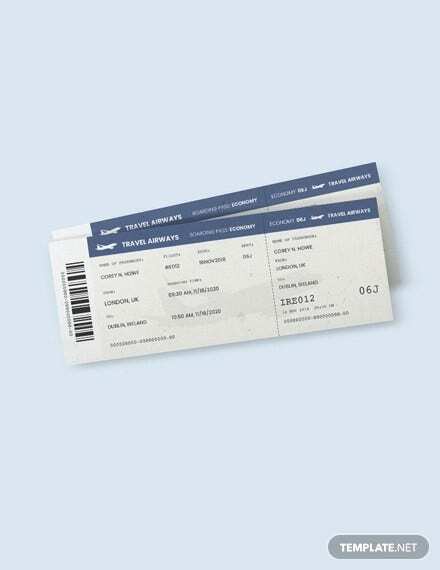 Travel Ticket Logo Template. Tickets are not only limited to print outs. Tickets can also be given out online. These are called e-tickets. With this logo, it shows just that. Free Travel Ticket Template. If you are looking to make travel tickets without spending a single penny, then this is what you’ve been looking for. Take a look through our free travel ticket templates and download away! 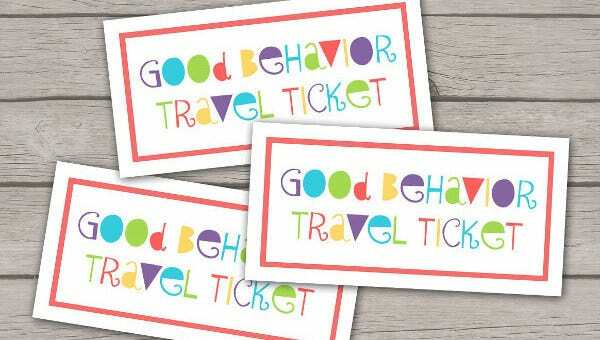 Printable Travel Ticket Template. 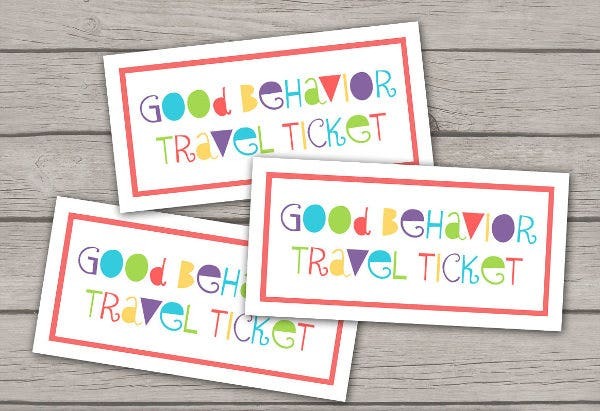 This template is great for easy printing travel tickets. Just hit on Download and print in a snap. Don’t forget to customize and add in some important details. There are plenty more templates that you can find here relating to tickets. You can browse through our collections on our website. We also offer more vintage ticket templates, which you can on our pages.